Has anyone read Scourge of Fate by Robbie Macniven? I feel like it might be good for some Warcry inspiration/mood setting. It’s a great book. I wrote a review of it a couple months back, and I am probably going to re read it soon. Definitely an inspiration for upcoming Warcry games. I just finished the undying king and loved it. Any other novels with some FEC in them? 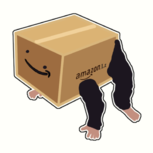 Also anyone read Hamilcar? Anyone knows the result of blightwar when Neave tried to assassinate Horticulus? Didn't buy the boxset and can not find information of the event anywhere else, but I heard Neave failed? The booklet in the box doesn't say what happens in the end. It only describes, between 3 missions, the situation when Blacktalon finally corners Horticulus, but apparently he escapes. Given the role of Horticulus in the Time of Tribulations and the subsequent Soul Wars, I think we can say Neave failed to banish him. Maybe the novel about Neave will have more informations about her past mission (as the book seems centered on Aqshy), but I'm not sure. Definitely, Hammer of Sigmar is one of the first striking stormhost. Is the sigmarite brotherhood also the first striking stromhost? Why are their shield pattern differs a little bit. Anyone has an idea? All of the Sacrosanct units have the anvil and lightning bolt symbol in addition to the hammer symbol - the only reason the shields look different on those two units is because the Hammers unit pictured is a Sequitor, rather than a Liberator. I'd be interested to hear people's favorite characters from any of the novels so far. Mine is probably a tie between Gardus and Ghosteater. Gardus is becoming a very complex person (lightning elemental? ), and Ghosteater is just awesome. Maybe one day @JReynolds can write a book all about him. In terms of sheer badassness though, Vanik is on the path to winning. @RobbieM should write some sort of tie-in trilogy when Warcry comes out starring the Black Pilgrim. I don't think Era draconis means much, I think is the equivalent of "only the faithful" for that Extremis chamber. Maybe it's just story. Just finished Blacktalon: First Mark and now I’m scared... won’t spoiler anything, but who is that mysterious character in the epilogue? I’m not familiar with the WtW, is that someone I should be aware of? Probably the king of the Dreadwood Glade. There are definitely parts where you see the main character desensitized to awful things. 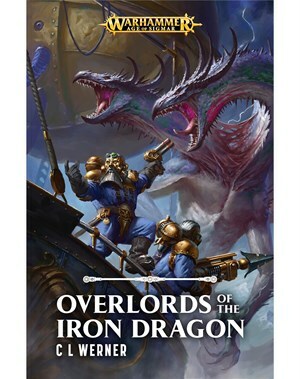 It isn’t like the Night Lords series in the way you are asking about though. I am a bit like you in that regard, I just don’t enjoy it that much when you are told awful characters doing awful things are really just conflicted and so we should like them. The bad guys have some qualities to admire for sure, although RobMac makes it clear they are still bad guys. One of the best things about the novel is that you can understand why the Black Pilgrim makes the choices he makes. And yes, it is fun to read. So I say try it! 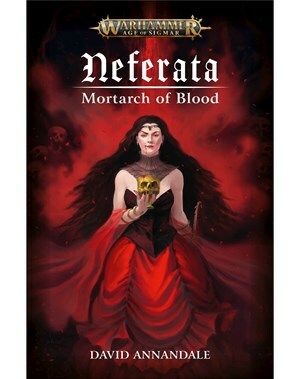 Has anyone read any of the idoneth short stories? I'm interested but I wonder if they are fun reads. 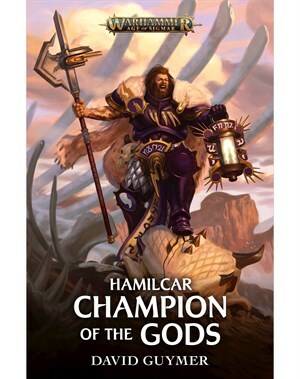 If you haven't, read "Hamilcar: Champion of the Gods" https://www.blacklibrary.com/warhammer-age-of-sigmar/featured/champion-of-chaos-ebook-cs-2018.html Hamilcar is one fun character. 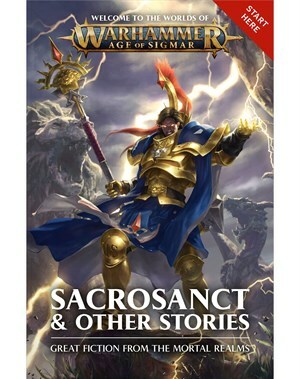 Check out "Sacrosanct & Other Stories" And learn of Knight-Incantor Arnhault story, as he saves his people. 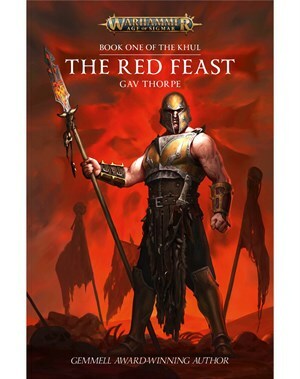 https://www.blacklibrary.com/warhammer-age-of-sigmar/novels/sacrosanct-&-other-stories.html This story has some the best descriptions of stormcast using tactics and strategy to win a fight, against overwhelming odds.